With the LOCARNO GTX® Ws, a short walk can turn into a long stroll through the city. The trendy embossing on high-quality leather, the Gore-Tex® lining, a newly designed, reduced LOWA-MONOWRAP® construction and a cushioning midsole made of DynaPU® make this fashionable women’s shoe an all-rounder that rises to every urban challenge. There is also nothing to prevent a short stroll along forest trails and meadow paths. With the LOWA Locarno GTX MID Ws boot, a short walk can turn into a long stroll through the city. 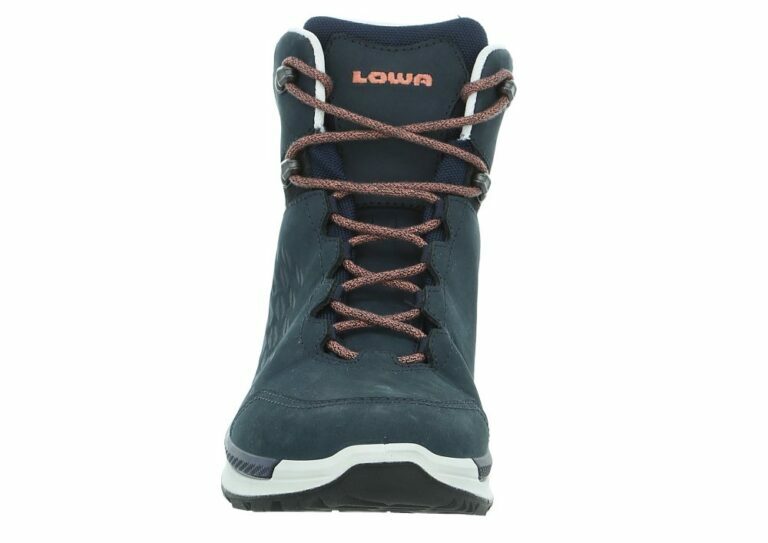 The trendy embossing on high-quality leather, the Gore-Tex® lining, a newly designed, reduced LOWA-MONOWRAP® construction, a waterproof GORE-TEX® membrane and a cushioning midsole made of DynaPU® make this fashionable women’s shoe an all-rounder that rises to every urban challenge. There is also nothing to prevent a short stroll along forest trails and meadow paths. 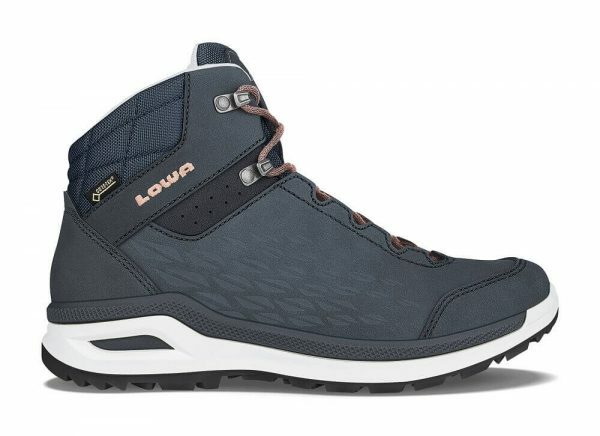 The LOWA Locarno GTX MID Ws is also available in a low-cut model as the LOWA Locarno GTX LO Ws. “From long, mountain hikes to a leisurely walk or bike ride, the Lowa Locarno GTX women’s hiking boots are functional, modern, and a perfect urban lifestyle staple. Crafted from Gore-Tex and embossed leather, these boots will go anywhere you do. “Having tested plenty of those types of shoes, it’s easy to see where that money goes. 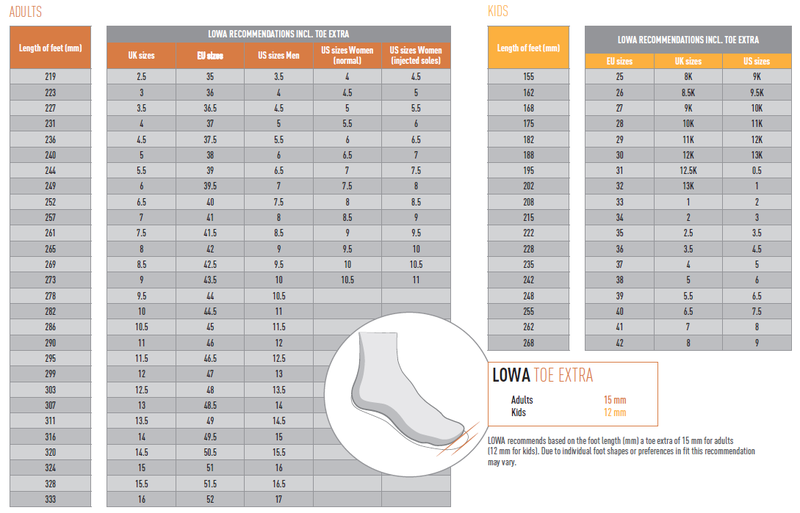 Lowa has created a very impressive set of footwear here, and the materials used in their construction are head and shoulder above others in this market space. The question is, will the more casual customer be able to tell the difference, and be willing to spend the extra cash? If they do, they’ll have a pair of boots that will last them for years, probably much longer than those made by other manufacturers. Hopefully, the casual hiker/traveler will see this and recognize the value being offered here.